Rural payments is an exemplar that meets the complex needs of farmers, a really important group of users. When the service goes into public beta in early 2015, it will allow farmers to digitally apply for agricultural subsidies from the EU. 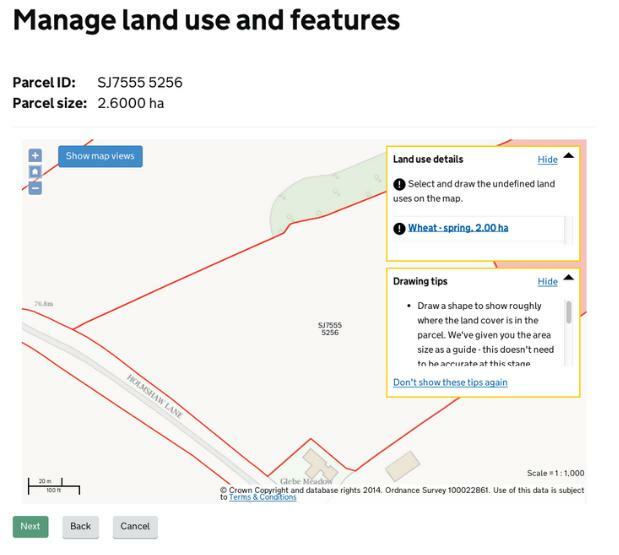 This will save farmers time and give them an overview of the information Defra (Department for Environment, Food and Rural Affairs) has about their land use and save the UK government money by limiting disallowance fines. 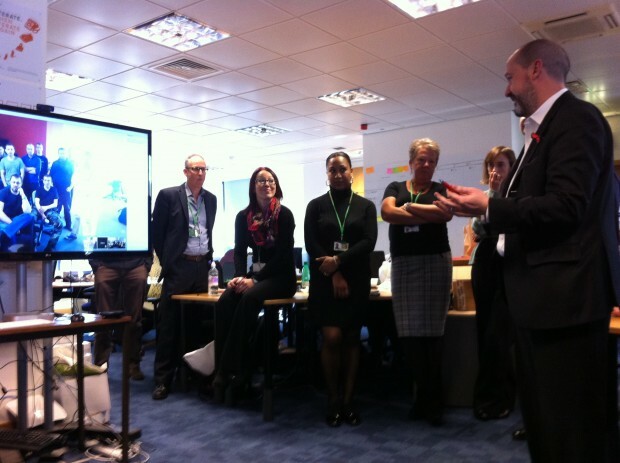 When I visited the team at Defra in Reading recently, I was really impressed to see how much work the team has put in to make things better for users. All of the exemplars have required digital teams to do the hard work to make it simple. That’s never been more true than for this project. It was one of the first exemplars we started working on back in winter 2012, so they’ve had to do a lot of learning while doing. Rural payments sits within the CAP Delivery Programme (CAPD), which Defra set up to handle IT systems and delivery across four different government bodies: Natural England, Rural Payments Agency, Forestry Commission and Defra. The exemplar is a response to some new, highly complicated policy from the European Union, the first of which is the Common Agricultural Policy’s Basic Payments Scheme, which will come into effect during the spring of 2015. These payments are an important part of farmers’ income, which means they also have a knock-on effect for many other businesses in the rural economy. It’s not just the policy that’s complex. For this exemplar alone, we’re talking about roughly 110,000 farmers and 1,200 land agents. Farmers hire agents for many reasons, but one of the things agents do is apply for different funding on farmers’ behalf. Farmers themselves are a diverse group of people, whose properties can range from a smallholding to an industrial scale business. The average age of farmers in the UK is also quite high, with many being in their 60s and 70s. A robust assisted digital offering is required for any service to pass the Service Standard assessment, and should be able help users who for one reason or another can’t immediately use the digital channel themselves. The team in Reading wrote to farmers who didn’t previously have digital contact with the Rural Payments Agency: 4,000 responded. The team is now phoning all of these farmers to talk about what might be getting in the way of them using a digital service. They’re also working on a pilot programme of “support centres”: it’s early days, but they’re learning a lot about how best to support their users. That said, it’s really important to not be blinded by how complicated things are, but instead focus on how simple you’re going to make them. There’s a lot of edge cases that the user researchers led by Jay Spanton, have come across in the last year or so. The team told me about 10-year-old hobby farmers, people who might not be used to filling in forms. That sort of insight into users is great, but it’s also important not to focus on the edge cases when building a digital service. We don’t go for a one-size-fits all approach, because we recognise that edge cases exist. But by building services to meet the needs for the bulk of users, we create simpler, clearer and faster services for them, and have the time and financial flexibility to offer case by case support for edge case users. I encouraged the team to think about the complex large scale services we’ve already delivered as part of the exemplar programme, across the country. We have over 135,000 users who have claimed Carer’s Allowance online, and have 1 million people applying on the online system to register to vote in the course of a few months. Sure, there are a lot of moving parts, but its important that we keep the focus on users. One of the best things about working in an agile way is that we can iterate on what we’ve built to better meet user needs. We know what we build isn’t likely to be perfect the first time, so iterating quickly lets us put new services in front of users and keeps us improving. The old way of processing rural payments was largely paper based. When a farmer wanted to show that they’d changed anything about their land, the RPA would send them a form and (if the farmer asked for it) a paper copy of the map of that bit of land. The farmer would then draw in the shape of the change to their land. With pens, pencils or sometimes even crayons. 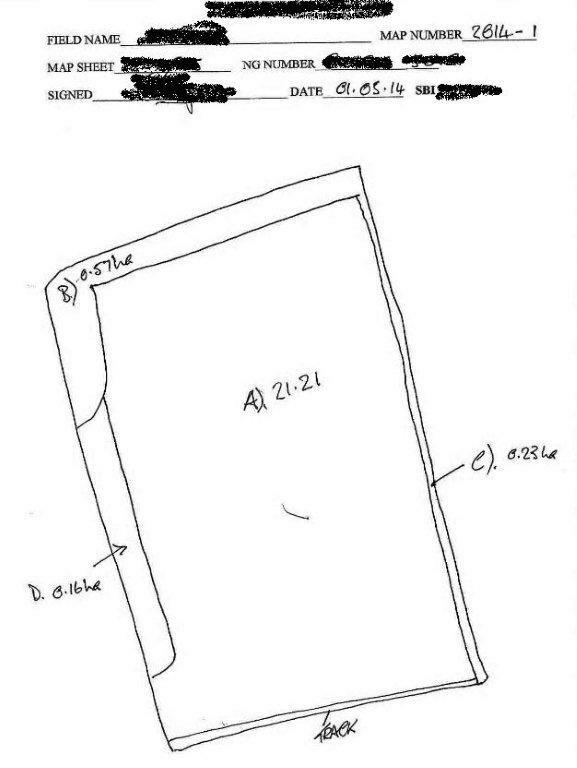 On a piece of paper. In the 21st century. These maps and forms would then be sent back to the RPA. A team of people called ‘digitizers’ would check the change against other evidence, like aerial photographs. In case there were still discrepancies, inspectors would be sent out to the farm to double check. These discrepancies are one of the causes of huge fines (called ‘disallowances’) from the EU: since 2005, they’ve totalled around £600 million. What a waste of money. A new digital mapping tool is at the centre of the new service. Using it, farmers will be able to see what information RPA has about their land and land use. The service will also be able to do basic validations about land use and land cover and send messages when it has verified that the reported land use is correct. Some farmers pay third party agents to handle this stuff on their behalf. Some farmers give other people permission to submit applications on their behalf; these people might be agents, but they can also be family, friends or other helpers. Regardless of who is using the new service though, they will have more insight into how the process works than ever before. Since the platforms the team at Defra are building are service agnostic, they can be used for more than just the Rural Payments service. A sign that we’re building services, not websites. One of the big challenges for Defra has been bringing together people who work in different locations. I had the pleasure of meeting remote teams in Gdansk and in Belfast via video conference; one of the ways that Defra are solving the problem of bringing talented people together. The people who are at the forefront of building these services can look forward to their skills being in demand as government continues to move toward becoming digital by default. Taking the step from drawing in crayons to a fully digital system was never going to be easy, but building other services has shown us that we can build great services. It requires us to not stare ourselves blind at the complexities of each part. Instead, we need to keep thinking about building a service that’s beautifully simple. We’re building services, not websites; I’m excited to see rural payments show the results of making things as simple as possible for users. We won't hear from them. Transparency only when it suits. Far too much back slapping, far too few practical approaches. Let's get all the latest and greatest technology of the moment and throw it all in the melting pot. What do you expect. Care to update this in light of return to paper? I'm sure it's not a simple answer but it would be great to hear from your team what to look out for in similar undertakings. Having previously worked for Sainsbury's in demographic analysis, I used maps daily and know first hand that the process for digitising paper maps is extremely time consuming - so this was definitely a logical step for both need and cost. Good work guys! I am now on the Digital and Technology Fast Stream, currently working with DWP (and loving it) and I can only deam for a return to a job involving maps in some way in the future! Fantastic work! Although perhaps a different kettle of fish on the technical side, I look forward to other tools being built for departments like Highways England such as a live traffic information map built directly into their GOV.UK page. Thanks for sharing this information!